A city girl reluctantly travels to the Alaskan wild seeking peace with her absentee father, only to fall in love with a rugged pilot who challenges everything she ever thought she wanted. Twenty-six-year-old Calla Fletcher has lived in bustling Toronto since she was two, when she and her mother left rural Alaska—and her father—behind. She’s built a life of comfort full of fancy morning lattes while working at a bank and trying to make it big as a lifestyle blogger with her best friend. Her life is suddenly upended, however, when she’s let go from her job and learns her father’s days are numbered. Fueled by a storm of emotion and a list of unanswered questions, she flies back to the remote town in which she was born, to face a father she doesn’t really know. The trip to Bangor, Alaska is anything but smooth, thanks to the teeny tiny plane and its arrogant, bearded pilot, Jonah. Calla hopes never to see him again, but their paths cross again and again as Jonah is her dad’s go-to pilot in his charter plane business, Alaska Wild. Everything starts off horribly wrong—her bags are gone, there are mosquitos everywhere, everything costs a ludicrous amount of money, and things between her and her father are awkward at best. But gradually she begins to see a side of her dad, a side of Alaska, and even a side of Jonah, that she never expected. Before her week is up, Calla finds herself falling for the boy, heartbroken by her father’s prognosis, and wanting to stay for them both. The truth is stark and stolid however, as the past repeats itself—she could never live in Alaska, and those she’s come to love deeply could never live beyond its rugged terrain. 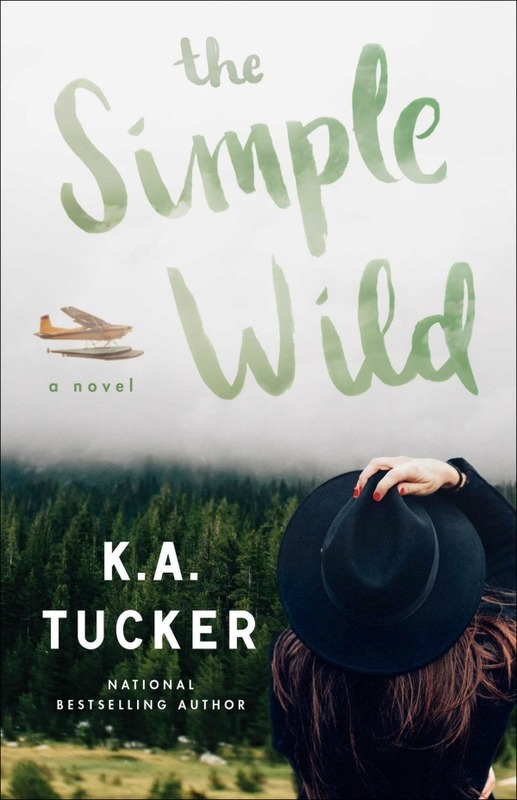 THE SIMPLE WILD is one of my favorite of Tucker’s repertoire. Poignant and witty with an enemies-to-lovers thread that felt all the more fascinating and consuming with the wild Alaskan backdrop. It’s a compelling story of family, forgiveness and love that unravels with both emotional depth and delicious, romantic tension. I wanted to read it all over again the moment it was over.